NOT A DOODLE: The Big Boss! The head honcho. The grand poobah. The mac daddy. The big cheese. Was finally called on to do an editorial portrait of my main boss. 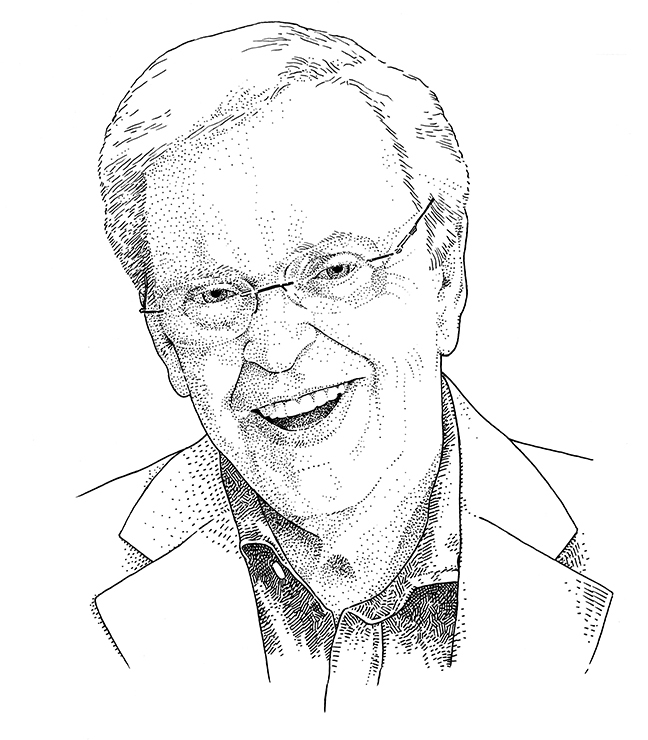 No watercolor washes going on this one; they wanted to go old school black-and-white. So it’s all lines and dots… and lines…. and dots… and more lines… and more dots. NOT A DOODLE: It’s Here!!!! I posted a few teaser shots from this previously here, here, and here, and now the finished product is complete and on sale. 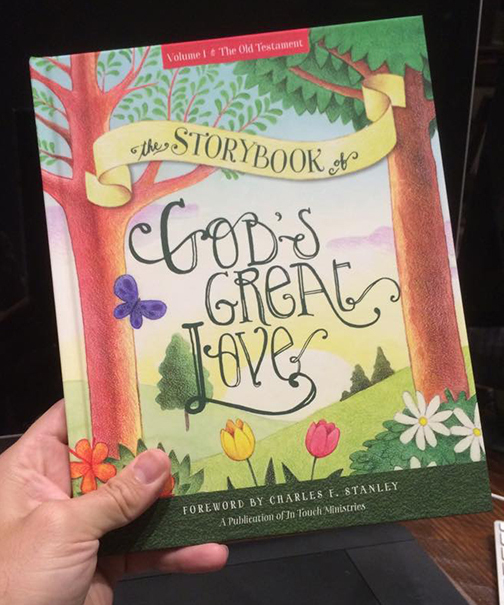 “The Storybook of God’s Great Love” is an eighteen-story children’s book written by the incredibly gifted Laurin Greco, art directed by the equally über-talented Lisa Dyches, and illustrated by yours truly. It was a lot of fun working on this; I haven’t gotten to work on that many projects aimed at little readers. It can be purchased online at the In Touch Ministries bookstore here. Oh! And be on the lookout for Volume 2 next year! I’ll try to post some progress shots from that one, as well.